At Dunnville Christian School, we strive to help our students develop academically, spiritually, socially, and emotionally. We have adopted a curriculum that follows Ontario guidelines, but with a faith-based focus in every facet of learning and an added subject focused on God's Word. Below are some highlighted subjects from our dynamic curriculum! The Bible is the centre of our curriculum. It provides the principles that guide and direct us in our everyday life. The Bible is also the source of our devotions. 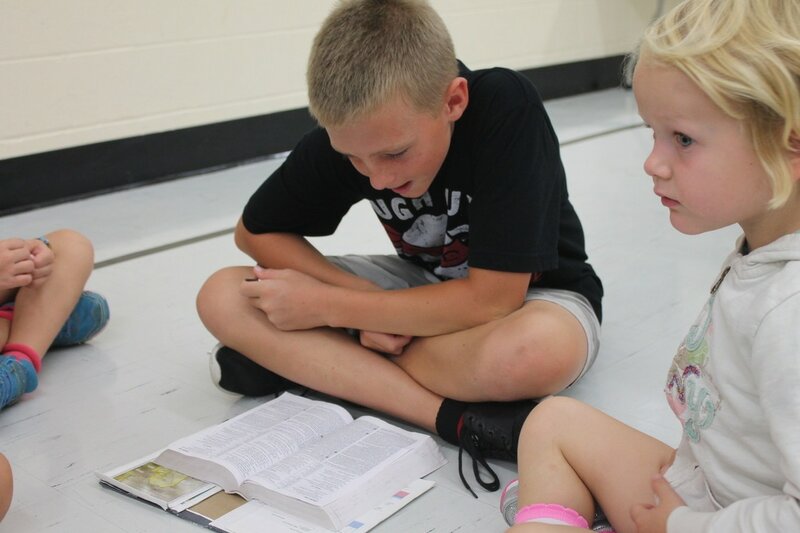 While attention to God's Word is integrated into all subject areas, each grade receives specific instruction in Bible studies for approximately 30-40 minutes every day. We strive to instil a reverence for the authoritative Word of God and a response of love and service to our Lord in the minds of all of our students! Students read a passage from the Bible together in their Chapel families during the first Chapel of the 2016-2017 school year. Junior DCS students partnered up and read with their primary-aged reading buddies on Pajama Day! 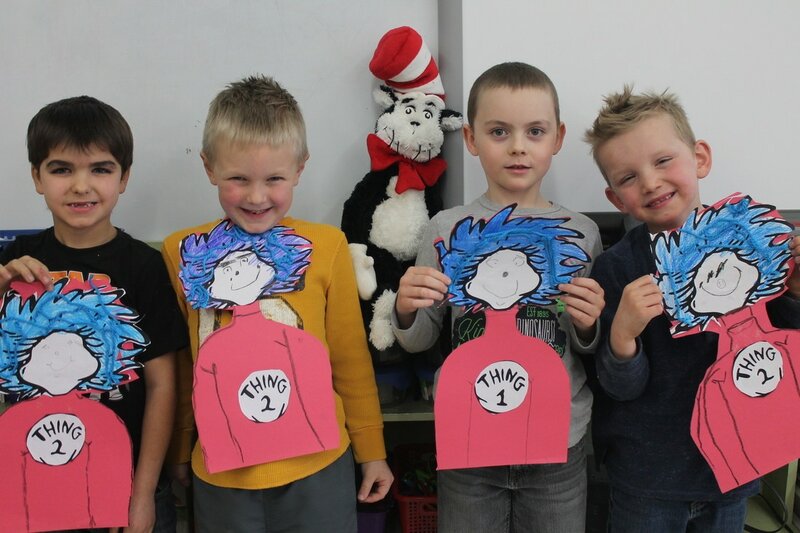 The grade 1 class of 2016-2017 celebrates Dr. Seuss Day, a day where they honour the great children's author Dr. Seuss. The Language Arts program is the academic heart of our curriculum. This program helps students develop various skills in reading, writing, speaking, and listening. A significant amount of time is devoted to the teaching of reading, phonics, grammar, penmanship, typing, spelling, and writing. In addition, students write and present speeches every year in order to help them practice their writing abilities and become comfortable with public speaking. Students in grades 3 to 8 are also given the opportunity to participate in the school speech contest, the Royal Canadian Legion Public Speaking contest, and the Dunnville Optimist Club Speech contest. Entering various writing contests and publishing students' work in the local paper and the school newsletter (Heart Talks) is also part of the Language Arts program. We also participate in the Accelerated Reader program, where our Grades 2 to 8 students attempt to reach a points goal set out at the beginning of the year by reading books that have all been allocated a certain number of points. If they meet this goal, a special treat or activity is rewarded to the students at the end of the school year! Math helps our students investigate and discover how God's creation expresses numerical order and unity. Math is offered for 40-60 minutes every day. Students learn how to compute numbers, complete word problems, and acquire age-appropriate concepts. 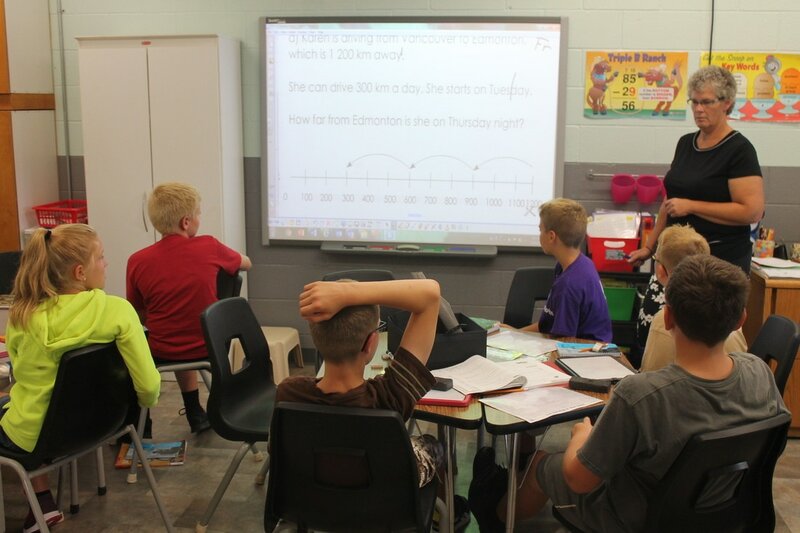 Students in grades 3 to 8 also complete daily speed sheets (Mad Minutes) to enhance retention of math facts. 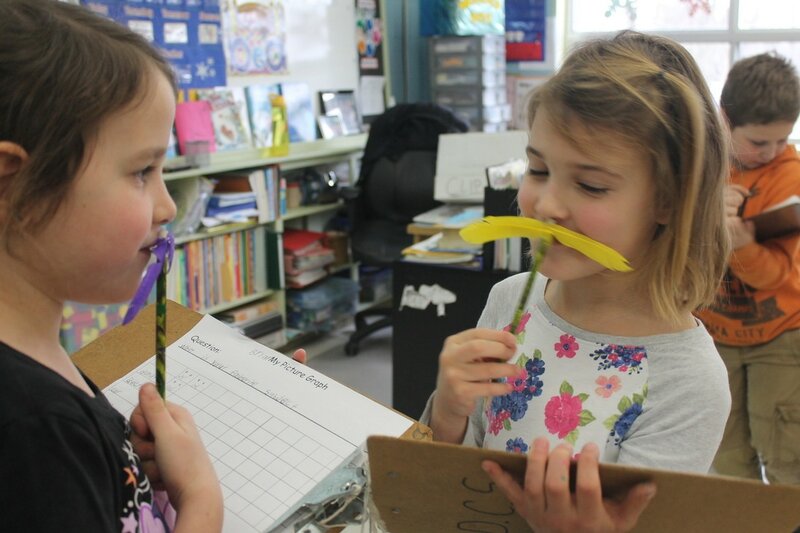 Grade 1 students conduct an "I 'Mustache' You a Question" graphing activity for their graphing unit. Grade 7/8 students practice new songs for their next band performance. The grade 3/4 class is treated to a special art lesson from a guest artist. At DCS, we encourage our students to grow in their God-given gifts, and many of our students excel in the gift of art and music. Art instruction helps our students develop their ability to view creation artistically and to respond with creative interpretation. Students receive instruction focusing on the five elements of design and produce a variety of artwork using numerous forms of media. Each class receives art instruction for 45 minutes per week. Music allows us to come to God in praise and gratitude using our voices and other musical talents. Each class receives 45 minutes of music instruction per week. In addition to singing instruction, students learn music theory and play the recorder. In grades 7 and 8, students also learn music history and participate in band, which performs at various school events and for a number of other events and groups in Dunnville. Our students also have the opportunity to join bell choir and/or the praise team, which leads our students in worship at chapel and performs at DCS and family-affiliated churches around the area. Students who are having difficulties meeting everyday expectations may benefit from special programming. These programs address the needs of students of all abilities. Our Resource teacher, Mrs. Margaret Kamping, provides the necessary resources and modifications our students need in a fun and engaging way, in order to ensure that all of our students reach their full academic potential. Mrs. Margaret Kamping offers differentiated learning opportunities for students of all abilities in all subject areas. In cooperation with the subjects we teach at DCS, we have also adopted the Project-Based Learning (PBL) method into our classrooms. PBL is a teaching method in which students work for an extended period of time on investigating and conducting research in order to respond to a particular challenge or complex question. Our annual Science Fair is a good example of PBL - students work for a number of weeks to develop a research question, hypothesize expectations, conduct experiments, and publish their results. On a larger scale, Mrs. Margaret Kamping has been working with the grade 3/4 classes over the past couple of years to revitalize a fountain across the street from our school. Over the past two years, students have conducted research on the history of the fountain, presented their findings to various organizations in Dunnville (including the Horticultural Society), reached out to artist Christian Corbet (the original fountain artist's protégé) to invite him to revitalize the artwork his mentor originally created, and raised funds to support the financial needs of this endeavour. The project is currently well under way and significant progress has been made in fixing up this wonderful part of Dunnville's history!